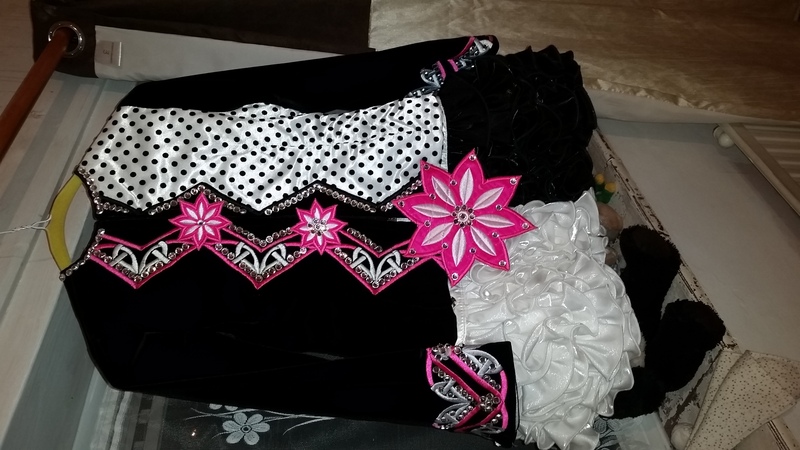 Beautiful irish dancing dress. This is a 2 peiece dress handmade in Ireland by Siopa Rince. 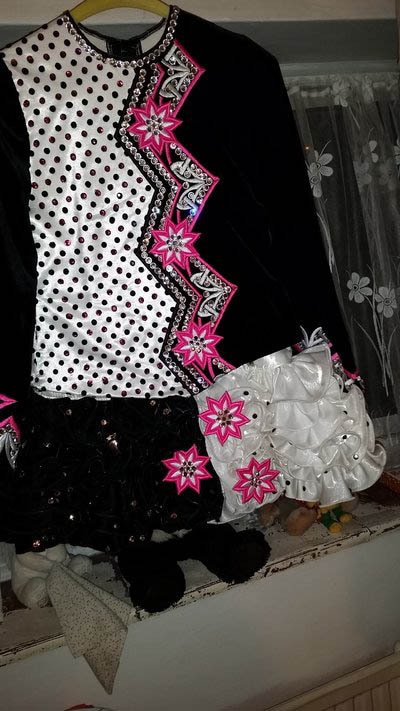 This dress was worn by a world dancer. It is very unique dress , the contrast of the black and white make this dress stand out. As with all Siopa Rince dresses stage prenece is amazing . Dress is covered in crystals. This is a used dress, there is obviously some wear. 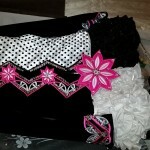 Thet dress is in very good condition , a few makeup marks and maybe some crystals missing. Nothing that will show on stage.